Many of you know my good news already, that my scans last week before Thanksgiving continued to show no evidence of cancer. What a way to go into the Thanksgiving holiday. And that sound you may have heard? That was Chris and me finally exhaling after 48 hours of holding our breath waiting on results. As the stress started to dissipate, I came down with another sinus infection and had chemo last week (plus a lunch with Arizona's Governor -- a story for another post, maybe -- and hosted a cookie decorating party with a dozen or so preschoolers over the weekend), so I've disappeared a bit from this space. I've been busy living, which is pretty wonderful. I am so very lucky for this beautiful life. But I've also been hesitant to talk about my good news too much, in part because so many of my friends are facing disease progression, chemo regimen changes, or the unknown of clinical trials over the last couple of months. These friends post photos from hospital beds of them with their children, and my heart aches for them. Or they post that they have to leave their families -- now, at this time of year, just to emphasize the magnitude of the injustice of it -- to take part in clinical trials to try to put the brakes on their particular form of breast cancer. Maybe this drug will be the one that finally stops it. Maybe this won't be my last Christmas with my kiddos. Maybe I can walk today, despite the pain in my bones from cancer's spread. I've become a part of this community. These women are my friends. My diagnosis wasn't terribly dissimilar to many of theirs. 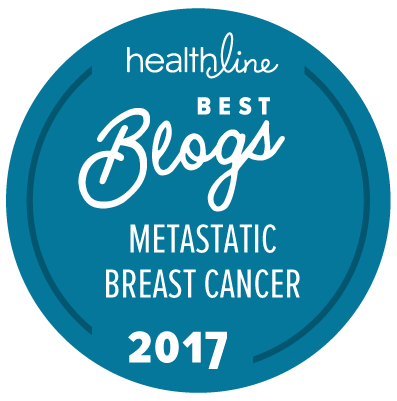 In some ways, it was worse, since I was metastatic from the outset while many of them thought they were safe with an early-stage diagnosis. My luck could change at any moment, and their stories could be my story. But for now, I'm relatively healthy. That is no minor thing. As the saying goes, when you have your health, you have everything. I am so very, very lucky. I try to remember that every day. As Quinn and I were putting up Christmas decorations the other day, listening to Holiday Classics on iTunes, "O Holy Night" started playing. We are not a religious family, but it's still my favorite Christmas song. I choked up, watching my son choose where to put ornaments and feeling beyond fortunate that I get to be here to see it. And then I started crying as I strung the lights, thinking about my friends whose cancer situations are worsening or who are spending this season without family members because of cancer. The music wasn't helping. I'm blaming you, Mariah Carey. Is this survivor's guilt? 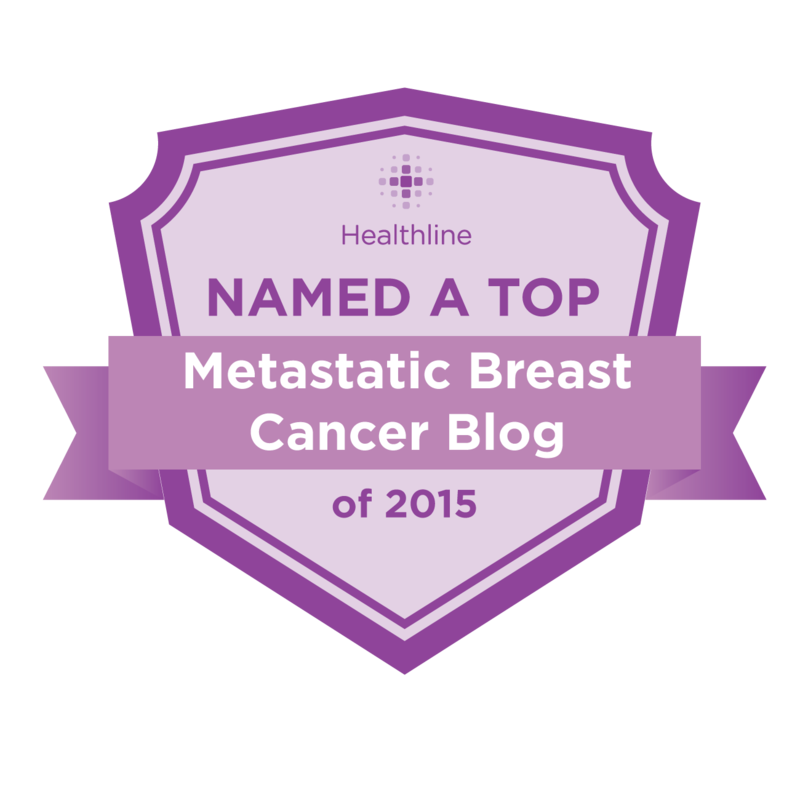 Can you really have survivor's guilt when you've been diagnosed with an incurable cancer? Do the holidays make everyone more emotional? Or is it just the sugar highs (and subsequent crashes)? Maybe I just need a break from Chex Mix. Chris is in the town where he grew up the first half of this week, wrapping up things with his mom's estate: a visit to the DMV, a meeting with her accountant, closing of bank accounts, that sort of thing. We have had our own significant loss this year, and it is going to be a tough holiday without my mother-in-law around. Later this week, I am headed to San Antonio, to attend a program as part of the annual breast cancer symposium there. I am hoping to learn about advances in research and new ideas in the pipeline for eradicating this disease. I am hoping to bring some more good news back to this community of mine, some more reasons for hope. After all, it is the season for it. You just spoke my mind. I could have written this myself. Cheers to you and your little family from my (American-Russian) family in Myanmar. Awesome news about your report! I am so happy for you. Your story gives me so much hope. I am sorry about your friends who are struggling during these holidays. I know a few myself, including a dear friend of mine. It feels awful not be able to help. And yes, the guilt is there. I wish them the best outcome possible, always. I hold on to hope too. What wonderful news of NED!!! I just had a friend die of cancer (not breast) so I'm going into this holiday season with a lot of survivor's guilt. It's hard. Quinn is beautiful! And I am grateful that your medical news was good. It is so very hard seeing the suffering of others. Just hang in there. thank you for the update! Fantastic news about your clear scan! What a great way to bring in the new year. I must say I am quite envious of Quinn's eyelashes--such a cutie. Looking forward to reading about any news you discover in San Antonio especially about Her 2 neu research. 7 months ago at age 41, I was diagnosed with stage 4 mets to liver. After 7 months of letrazole and ibrance combination therapy, i just got a clean scan before Thanksgiving. There is hope!! I loved reading your story.